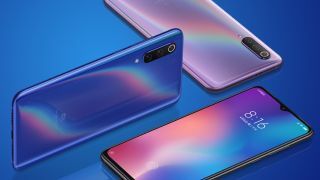 Xiaomi introduced its flagship smartphone Mi 9 and the Redmi Note 7 in the UAE with aggressive pricing on both the handsets to compete with the likes of Samsung and Huawei. Although Xiaomi is the fourth largest phone manufacturer in the world, it hasn't quite had the same impact in the UAE and other Middle Eastern countries. The phone's chassis is crafted out of 7000 series aluminum and has a layer of Gorilla Glass 5 on the rear. It is 7.6mm at its thickest point and weighs around 173 grams. On the front, the Mi 9 sports a 20MP camera with an f/2.0 aperture for selfies. Being a Xiaomi flagship, the Mi 9 is powered by Snapdragon 855 chipset and is backed by 6GB and 128GB onboard storage. The Mi 9 also supports face-unlock and features a fingerprint sensor that’s embedded into the display itself. Xiaomi’s Mi 9 has a 3,300mAh battery to its disposal and it supports 27W fast charging via USB Type-C. The Quick Charge 4+ adapter is a separate accessory and the phone comes with an 18W charger in-the-box. In addition to that, the Mi 9 supports up to 20W fast wireless charging, a world’s first at that. The company has also launched a wireless charging pad alongside the phone. As for the pricing, the Redmi Note 7 starts at AED 729 for the 64GB storage variant and AED 829 for the 128GB version.